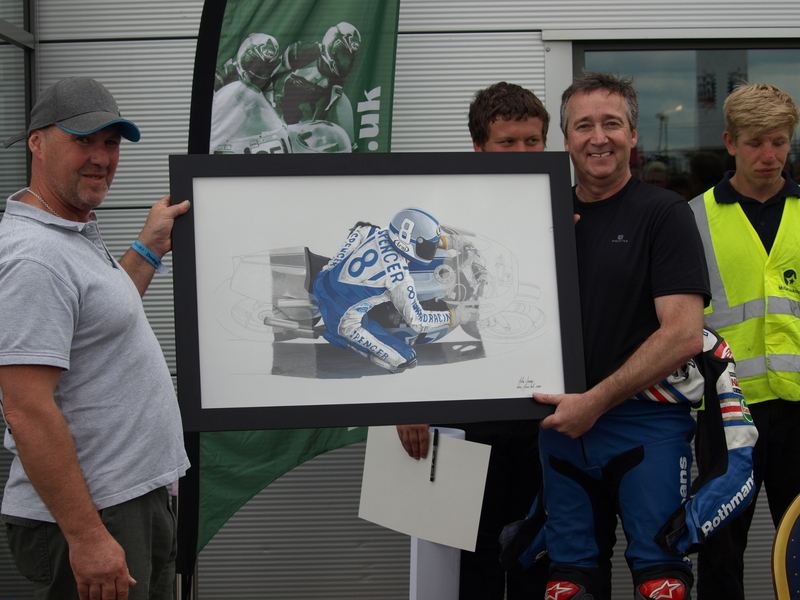 The original of this painting is now with Fast Freddie Spencer himself. 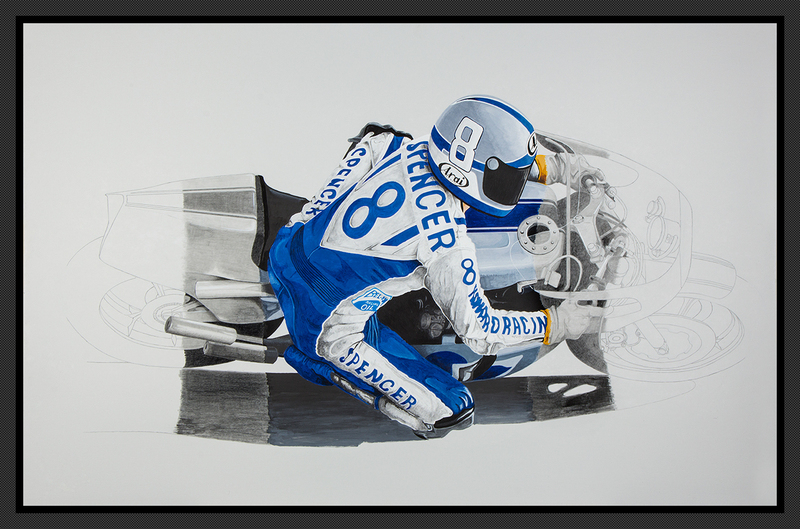 Fast Freddie Spencer at his first ever race outside of the USA. Brands Hatch 1980. He turned up as a normal bloke in a van, just him his mechanic and his bike. However his mechanic was Erv Kanemoto and the bike was a Yamaha TZ750. When he drove away at the end of the day he'd beaten the works riders of Barry Sheene and Kenny Roberts and had started the legend that would overwhelm all.